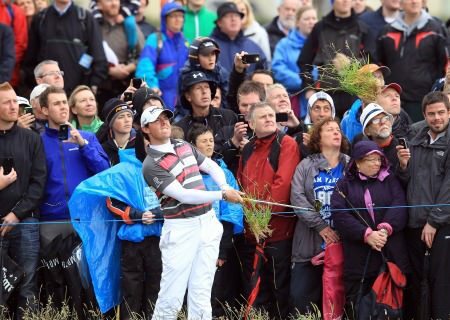 Set to turn 20 on Monday, McIlroy said: “I am looking forward to playing it so much because I love links golf. The 3 Irish Open is one of the oldest tournaments on The European Tour and I would love to win at Baltray. McIlroy is in Las Vegas for the Hatton-Pacquiao fight and will tackle the The PLAYERS Championship next week before heading home for the Irish Open. And a home win by the winner of the Dubai Desert Classic would massively boost his chances of winning the Race to Dubai. Ranked fourth with just under €1 million in the bank, he can close the gap on leader Geoff Ogilvy by taking the €500,000 top prize. "There’s no doubt it would be great to get back to Dubai and have a chance of winning The Race to Dubai and the Dubai World Championship – but first of all I have to concentrate on getting a good result at The 3 Irish Open because that would be a good catalyst for the rest of the year.